At the very onset let me tell you what the film's name means. Someone out there is trying to tell every member of the human clan that it's really not worth stepping into your eighties. You are infirm, weak, doddering and helpless. But what is most unfortunate is that your near and dear ones treat you like dirt. They brush away feelings and desires, pay no attention towards your well being and totally forget that you are the person responsible for what they are today. Ashite Ashiona is a tongue-in-cheek look at this age-old phenomena of old parents being neglected. Even if it does not happen in every household, this film is also a reminder to everyone on how not to treat the elderlies in the family. 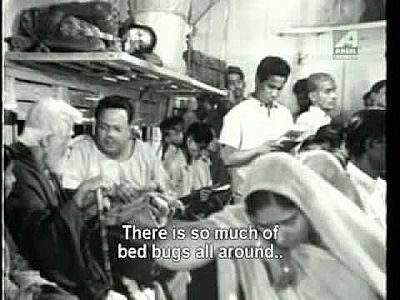 The 1967 film directed by Sri Jayadrath is hilarious, yes, but it drags home such a poignant point that while you laugh, you'll also wonder at the hollowness of so many humans and society in itself. Shoda (Bhanu Banerjee) is pushing 80 and is a wobbly old man who spends most of his days sunbathing and longing for good food. But when he has had enough of the 'roasting in the sun' and calls for someone to take him indoors, no one of the family has the time. He hollers for food every morning, but no one cares. The pet dog is fed before he is. He can just mutter and feel despondent till the time his 75-year-old wife (Ruma Guhathakurta) comes meekly and gives him a bowl of barley (which of course he hates). Shoda's family comprises his two sons, their two wives and children. The only compassionate member is Shoda's eldest grandson Bibhuti who often listens to him. His wife, too is loving towards Shoda. Oh, there is of course Madan, the servant, who smuggles food for Shoda and talks in an utterly hilarious way. When he gets kachoris for him from the market, Shoda remembers to share the food with him. Madan is played by the awesomely talented Jahar Ray who will drive you crazy with his funny face and one-liners delivered with that quintessential rustic Bengali accent. One day, Shoda's friends (some equally toothless and doddering men) come and tell him that scientists are working towards discovering the elixir for youth and there might be some day soon when they all can become young again. Shoda longingly looks at his marriage photo, thinking how handsome he was, how pretty his wife was. He stares at a picture of his on the football field and yearns to become young again. He has had enough of neglect and rudeness from his family and wants to live life on his own terms. He requests his grand daughter-in-law to ask her husband to send him for a vacation so that the change of air does some good for his body and mind. On arrival to the house, Shoda and Madan quickly start acclimatising to the new surroundings and even feel better after a few days. Madan relishes dollops of butter with his biscuits even though Shoda warns him that so much indulgence might lead to an upset tummy!! Feeling much better, Shoda calls for a horse so that he can ride it and roam around in the area. While he is on the horse, he accidentally falls into a small lake and emerges out of it as a young man!!! Yes, a young man! Shoda's dream is true. He runs to Madan and tells him that the lake at Nagtara (that's what the place is called) is magical. He tells Madan to stay put there and rushes home to get his wife so that she too can be transformed!! What joy!! Kumar, hearing about Shoda's exploits takes a drum of water from the lake to a research institute. He wants the scientist to do tests on the water. He is initially shooed away, but when he proves that the water is indeed magical with the help of an aging pariah, the scientist takes note. Soon, the head scientist of the institute (Rabi Ghosh) is called for. This man is also quite old and salivates at the thought of becoming young and strapping again. Soon, Nagtara's secret is revealed. The scientists, the police, the administration, everyone flocks to this place and cordon off the lake. Old and wobbly men and women from all over the state start queuing up at Nagtara just for a dip. Dying nonagenarians are brought on baskets, almost dead people are brought on beds. All come to retain their youth!! The lake containing the elixir becomes a prices property. It's a fair out there, a pilgrimage for the seniors. New buses start plying on that route. Madan gangs up with a few locals to trick rich businessmen off their money rationing the lake water in "black". Oh! this man is too funny. Watch the scene where he dupes two Marwaris off Rs 5,000 telling them that his jugs of lake water will give them instant action!! Back at Shoda's home, it's a different circus altogether. First the family members do not believe that this is Shoda. After he reveals certain secrets of the family, they do. Even then they do not allow him to be near his wife, because they find it ridiculous that their father is now a strapping young gentleman. And Bhanu really is so smart and sassy as one!!! And funny of course!! Still, Shoda is too bold to be dampened. He catches some sweet romantic moments with his wife and even convinces her to take a dip in the lake!! 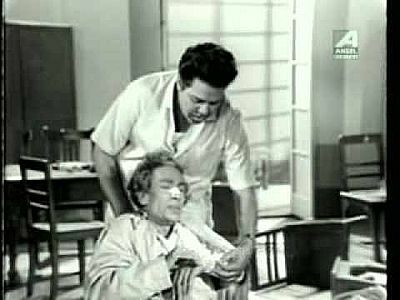 Shoda's eldest son (Kamal Mitra) tries to gag his father (an idea that his scheming wife gives him) so that he writes his entire property to his name. The younger son tries to kidnap Shoda and take him to the lake, so that he can sell the water of the lake in small bottles and mint big money. The sons and their wives become extra loving towards Shoda because now they know he is big fish. What can money do to people!!! While all this is happening Shoda elopes with his wife to Nagtara but there bigger fun and excitement is awaiting them!! Watch out! Ashite Ashiona is a laugh riot. But is is also a stinging social commentary on how men's minds work. Every individual functions for his or her own benefit and wherever there is money there are sycophants. Here Shoda and Madan are the only departures because Madan can do anything fir his master and Shoda does not forget his wife even when he afford to. It's true love that he has for his wife. The scientists and the administrators are all hungry toads who look for every opportunity that would bring them money and fame. And youth of course. They guard the pool because they don't want everyone to take a free dip in it. The old folk flurry to the lake because it is too good to be true. There are demonstrations and gatherings. There are crazy men and crazier situations. Please watch the film to experience the fun. How are you? I thoroughly enjoyed your writing and the introduction to the movie too..I hope not to reach the 80. As a young JU student, I had enjoyed the movie , but dont think I will be laugh as much at this age. @Ushnish: I'm good. Long time, huh?!? Ya, this film is pretty poignant apart from being funny. A good classic for sure. @Dustedoff: You can also watch it online if there are subtitles. Ya, fingers crossed. Because I really want you to enjoy this one! Is there any book – biography or autobiography – of Robi Ghosh and the great actors he worked with or the superb films he was a part of… the making of them, that is? By great actors I do not mean Soumitra Chatterjee and Uttam Kumar only. Anup Kumar, Chinmoy Roy, Santosh Mitra, Bhanu Bandopadyyay, Tulsi Chakroborty, Nripati Chatterjee, Pahari Sanyal, Chhaya Debi, Chobi Biswas, Aparna Sen, Tarun Kumar, Jahar Roy, Shyam Laha…. et al. @Roshmi: have no clue Roshmi! Btw, you know, Rabo Ghosh was my uncle-in-law!!! I feel so good whenever I say that!! Imagine being related to such a talented man!! And yes, there should be a way to chronicle the works of this awesome constellation of stars!! Sharmi, this sounds like a fun film. I'm going to look for it in my DVD library too. i am so happy that you did a review of this film.and your writing rocks.keep going lady... you are going great guns. I read Satyajit’s Roy’s “Ekei Bole Shooting” and it is full of interesting anecdotes and observations. At the end of it I was left with an enriching feeling… and a thirst for more. I feel that the old gems of Bengali cinema are not only entertaining and timeless… there is much to learn, read and know from the behind the scene actions. And about the stalwarts of Bengali cinema, some of whom I have mentioned before. Sadly most of them have moved on into the afterworld. Only a few are still around: Soumitra Chatterjee, Chinmoy Roy, Aparna Sen, Gita De, Sabitri Chatterjee, Supriya Debi, Subrata Mukherjee, Sumitra Chatterjee, Lily Chakraborty, Madhabi Mukherjee, Biplob Chatterjee, Haradhon Bandopadhyay. 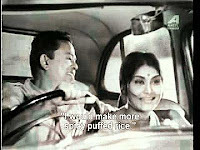 Tapen Chatterjee too passed away. 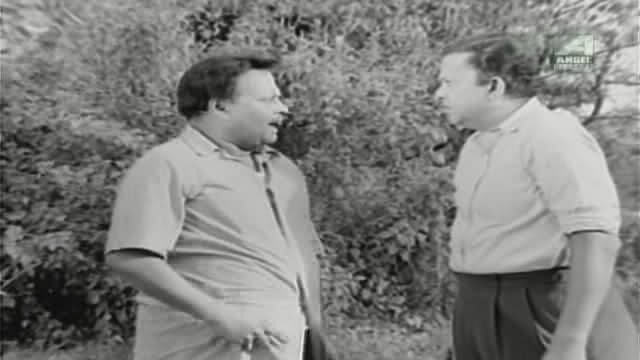 Subhendu Chatterjee and Tarun Kumar are gone too. Maybe Tinnu Anand and Siddharta Chatterjee can provide some insights. The technicians - whoever are around – could throw some light too, so to speak. It would be great if someone could chronicle their experiences, insights and the anecdotes. It would be a treasure-trove in the truest sense. The only person capable of doing this, according to moi – is Sandip Ray. But given your writing skills and your repertoire of movies, methinks you should think of doing something on those lines. What? Great choice of films Sharmi, I have to now make a list of 'must see' films. Your blog is a great help. The names that both of us have mentioned are names that belonged to the platinum era of cinema. And it won’t be back – for sure! I’m not suggesting that you have to chronicle every work done by these stalwarts. There are some iconic movies that featured a galaxy of these fabulous actors. Like: Basanto Bilap, Shriman Priththiraj, Mouchak, Sare Chuattor, Jhinder Bondi, Khudito Pashan, Ekti Raat, Jomalaye Jibanto Manush, Ora Thake Odhare, Bhanu Goenda Jahar Assistant, etc. And I’m not even mentioning the Feluda films and the Gupi Gayen Bagha Bayen series. It can and must be from a viewer’s perspective. You know, a fan’s perspective – filled with anecdotes, observations, nuggets, memorable events, funny events, shared jokes, rare pics, etc. Something that captures the era and the actors… yet makes for a light read.